Let’s Get Lost is a road trip book with a twist. Leila is traveling from Louisiana to Alaska to see the Northern Lights. Along the way, her trip is delayed by four people who need her help and Leila’s story is told through their eyes. Leila meets mechanic Hudson for a simple tune-up, but soon it’s clear that there are sparks between Hudson and Leila and they set out for a night of epic fun and adventure—on the eve of Hudson’s medical school interview. Hundreds of miles later Leila picks up hitchhiker and sometime shoplifter Bree and learns that seizing the day can be fun but also come with serious consequences. Elliot wants his life to be like a romantic comedy when he confesses his love for his childhood friend, but winds up with a drama instead. Leila helps him pick up the pieces and find the confidence to try again. On the border with Canada, Leila stumbles on guilt-ridden Sonia who is afraid to stop grieving for her deceased boyfriend and move on with a new love. Once Leila reaches the Northern Lights she takes over her own story in the final section. Leila’s journey is emotional and exciting. Alsaid’s different narrating style invites the reader to join in the ride. Saving Leila’s voice for last lets us get to know her like her traveling companions do. 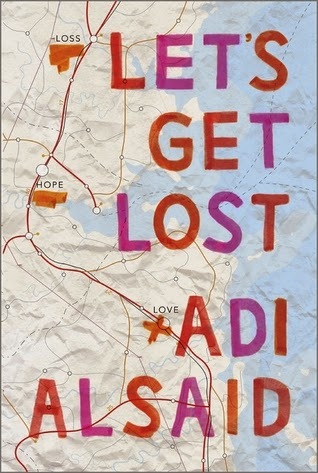 Let’s Get Lost is a touching debut novel and worthy of addition to YA collections.